As Mums we often feel overwhelmed with pressure. We are bombarded with people sharing their lives over Social Media. Truth is, the majority of people only share their “highlights” reel and we can fall victim to the assumption that everyone else is winning at life so we need to push harder to keep up. It can leave us stressed, run down and feeling inadequate. Its taken me 9 years of being mum to finally realise how important it is to look after yourself, mentally and physically. How can you be the best mum, wife and woman if you’re not making yourself a priority as well. The saying goes “You can’t pour from an empty cup”, and its true isn’t it? Have you ever found yourself in a stage of life where you feel overwhelmed, lost, depressed or anxious? These feelings can happen at any age, and I felt ALL of them at the age of 32. Stuck in a pattern of self destructive and negative behaviour I turned to martial arts. I have now been training for around 16 months and it has completely turned my life inside out and upside down, in the best way possible. 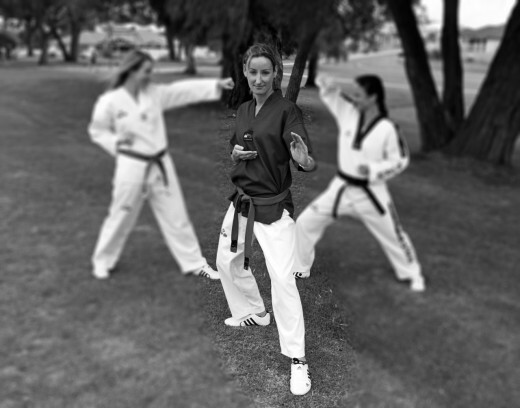 Martial arts are an incredibly ideal outlet for women of all ages and walks of life. The list I could write is almost endless. From the more obvious benefits like, increased fitness, strength, flexibility, coordination and reflexes. To the more subtle and unexpected ones like, an increase in confidence, calmness, the ability to deal with stress and daily challenges. The amazing feeling of empowerment that comes with the gaining of such skills is just second to none. One of the other things that I did not expect was the strength of friendships I have found from joining a martial arts club. You’re training beside others who are also looking to attain similar results and goals and you may find you connect with people on a completely different level. 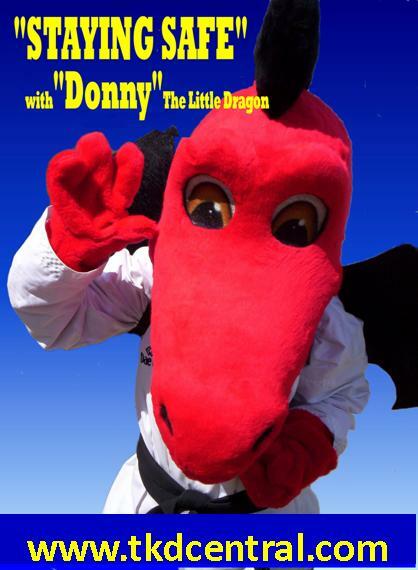 I initially started my martial arts journey when I was around 13. I really loathed my high school years as many I’m sure would relate. 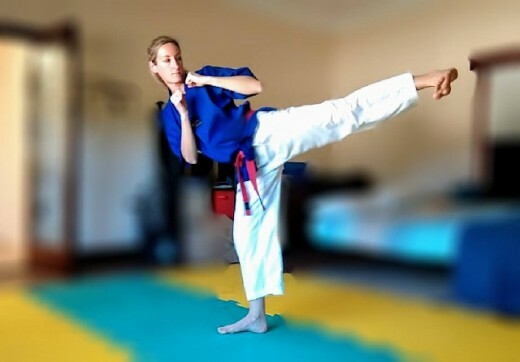 My one absolute joy I found at this time was Taekwondo training. I began training at the SWTA and my first Instructor was Odin Nel. I absolutely adored him. He was so encouraging and I felt like I had found something that I not only enjoyed and loved but I was actually good at. Every class left me walking away feeling strong and capable. I reached the level of Blue 2 stripe but unfortunately due to some health issues at the time, I gave training away. Skip ahead 20 years, I found myself married with two young boys. I brought my eldest son to TKD Central to see if the training would help the coordination issues he was having at the time. He loved it, and soon my younger son joined in and they were both loving it. Almost as much as I loved watching them train. I quickly became jealous of the fun they were having kicking and punching targets, I started to remember the joys it had brought me as a teenager. However, I never dreamed of starting, no way did I have the guts to jump in again. So I kept sitting on the sidelines. When the club announced they were offering a free self defence lesson to all the mums and a friend I thought, right! Time to have a go. I dragged my then mother in law along and I absolutely loved it. The encouragement Master Justin gave me was so uplifting. It was his kind words that gave me the push I needed to come to my first class. them, I may have just snuck out the door and never come back…….I really need to thank them for that! I stayed, and I came back, again and again and again. Safe to say I am COMPLETELY and utterly hooked. Having something unique and different to focus on completely changed my life. Working towards each belt level, mastering the next kick and seeing myself gradually improve lifted me not only physically but mentally and emotionally. The training, the club, the people and my instructors. Ajana’s ability to command a class of close to 50 people with skill and confidence at the age of 20 amazes me! Johns kind and humble heart that see’s him swarming with kids is very endearing, and to Master Justin who is significantly responsible for changing my perspective of life and who reignited my desire to train, grow and learn again. The impact the club has had on my life is just incredible. I have met some amazing people who I will treasure for my whole life. Learning the art and learning to teach with the hope of one day being able to pass on its benefits has become my life’s goal and something I’m truly passionate about. I encourage anyone out there to have a go, you should be eager to learn and remain curious your whole life, its what life is for! Soak up all that you can and you will be richer for it. “Your mind will take shape of what you frequently hold in thought, for the human spirit is coloured by such impressions.” – Marcus Aurelius. Beautifully written from the heart Kelly. Congratulations on your article, your willingness to share such personal feelings about your journey to inspire others and all that you are achieving with your training. Awww! What a wonderful read! Always so impressed by the way humans can inspire each other. Couldn’t ask for a better group of people to train with! What a brave and open account of a remarkable come-back! Thank you for sharing your personal story Kelly, and good on you for finding the inspiration, strength and courage to break the devastating downward spiral. Your turning point reveals the strong foundation of your ‘Indomitable Spirit”. Bravo!